What would happen if you could update any autoresponder with an actual USEFUL call to action so you could increase sales? I’m not talking about something general like go answer this survey or like me on Facebook. I’m talking TIMELY. Maybe you’re running a webinar on Friday. Or you might be doing a Facebook livestream next week and want as many eyeballs on it as possible. Here’s the thing: a lot of autoresponders are long. 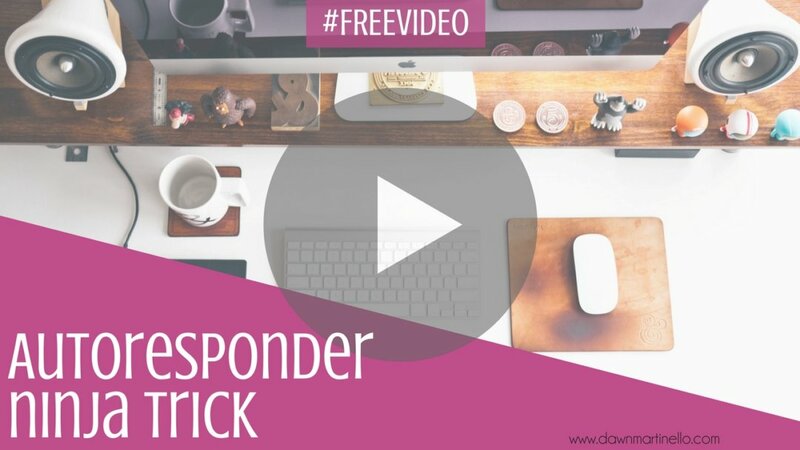 Imagine the time it would take to go through 100+ emails in an autoresponder sequence. Here’s my ninja trick and yes, you can totally steal this. Merge fields. You know, those things that allow me to call you by your first name whenever I put [firstname] into the email. It pulls in whatever data someone entered into a particular field. Most systems will allow you to create a custom fields that can contain any data you want. At the bottom of each of your emails, you add the merge field and it pulls in whatever text that’s there so that the content in your old autoresponder is actually timely. 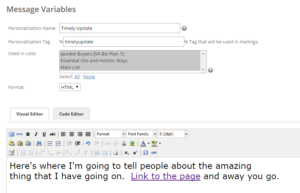 You can see the test variable I set up called “timely update” as well as how easy it is to insert the content that I want – it’s fully on HTML so anything goes here. 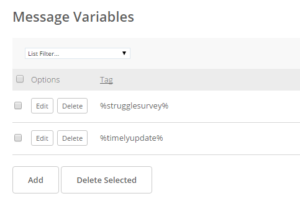 So now, the only thing left to do is go through the emails in any campaign, sequence or automation and enter the merge field %timelyupdate% and it will automatically pull that content in. Now, instead of updating hundreds of emails each time, you only have to update one tiny field. YOU’RE WELCOME. I know I’m getting ahead of myself, but trust me – you’re welcome. Click here to watch the short video that shows you exactly what to do, how to do it and when to use it.